The feature that all businesses are implementing into their daily tasks is automation. Automation provides much value for businesses, especially for real estate agents who are their own business. With the benefits that it brings, there are some places when human touch is necessary. Automation is fantastic, especially when it streamlines your workflow. In many cases you save money and time, or even profit from it with revenue and free time. CRM automation, Email automation, website automation, social automation is great…there are a few specific places we would recommend you consider before implementing automation. Automation shouldn't eliminate your personal responsibility to your business, you still will need to actively maintain your business. Where Do Homebuyers and Home Sellers Appreciate Human Touch? Using automation to post to Facebook is fine, as long as you remember that social media is two-way communication. If you use it for broadcasting-only, you might be doing it wrong. Good content will prompt users to comment on your content. If you get content, be sure to respond to them! If you get a message in your inbox, a prompt response is always appreciated. There are services out there for Facebook Messenger automation, and it can be used effectively as a tool for customer service. For the real estate industry, a lead reaching out to you via Facebook Messenger is likely a warmer lead and should receive more personal attention. Funny seeing this on our list, because our Conversations platform is email automation that responds to your leads in a natural way (depending on their behavior) that sounds like it is personally written by you. This type of intelligent behavior-based automation is actually really amazing, and something you’d have to try for yourself. There is a point, however, that we deem contact with a real estate agent necessary to continue the conversation to the next level. Part of Zurple’s automated processes is to alert you when the home buyer or home seller is ready to have a conversation, and the agent takes over from there. Automation can replace the need for a personal assistant…or it can make their job more efficient when working in tandem. We have a handful of clients that use our service alongside an assistant. When calling a real estate office would you rather talk to a human or “press 1 for sales”? An assistant can take care of your email and social media responses alongside managing your automation to maintain efficiency in your workflow! 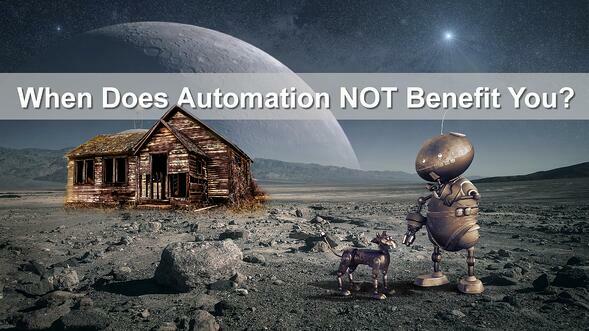 Automation should never be a “set it and forget it” process. Good services will always review their analytics and update automation from time to time. Even then, you will want to personally review your processes to ensure they are performing appropriately. Ready to see how Zurple automation can work harmoniously with human effort in your business? Click Below!